A friend and fellow blogger in Japan was kind enough to send me links to some Japanese blog posts about bamboo leaf tea. (Thanks, Megumi!). So, following on from Bamboo leaf tea -part 1, here is some how-to (with the aid of Google Translate) for making your own bamboo leaf tea at home. 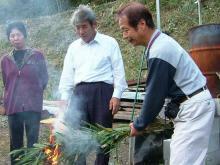 The instructions in the blogs are similar and use Kumazasa, a bamboo that grows in Hokkaido. In fact, Kumazasa is something of a Hokkaido speciality and is sold as tea (loose leaf, tea bag, and canned drink), granulated extract and candy. Bears are also very fond of Kumazasa bamboo. Dry fry in a pan until the colour starts to go brown. To make the tea, they suggest cooking the dried leaves in gently boiling water for a few minutes. 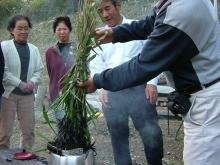 A third blog post, Misato, gives a pictorially-assisted description of making bamboo leaf tea in the great outdoors. Bamboo stems with leaves attached are gathered and bundled. The bundle is set alight and allowed to burn for a short time before being plunged into a waiting kettle of “boiling wobbly” water, and boiled a little longer. The tea is strained with a fine strainer, such as a dishcloth, to remove the ash. If this looks too hard, you could just buy some Bamboo Leaf Tea from Amazon . 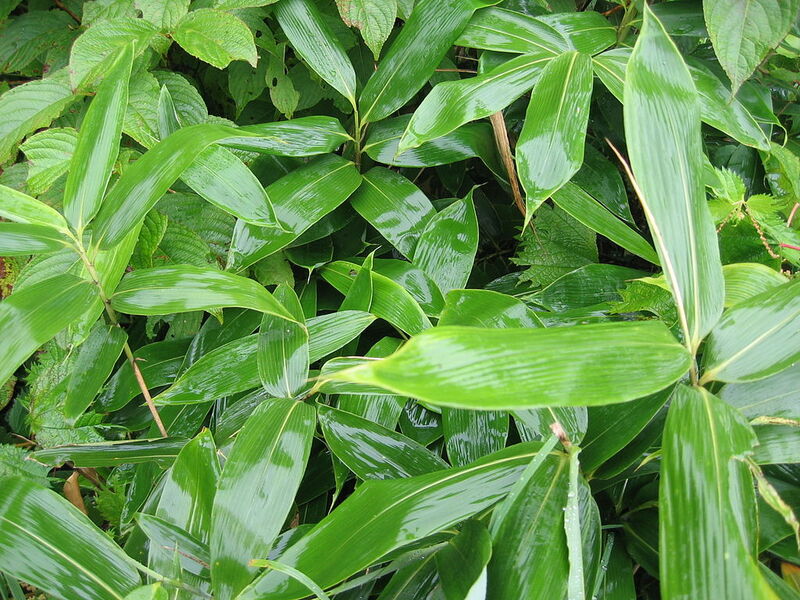 All three blogs laud bamboo leaf tea for its alkaline and health-giving properties. For my part, research is still under way to find reputable, preferably peer-reviewed, studies on the health benefits of drinking bamboo leaf tea (in English). And, in the interests of experimentation, I’m drinking one or more cups of bamboo leaf tea a day. Stay tuned for bamboo leaf tea – part 3. This entry was posted in All, Food, Home and Health and tagged bamboo, bamboo leaf, bamboo leaves, health, herbal tea, Hokkaido, Japan, tea on 22/09/2013 by Deb.